Tilles Center provides arts in education programs to nearly 15,000 students and adults each year. Providing arts experiences for PreK-12 students in high-needs communities is a particular focus of the program. 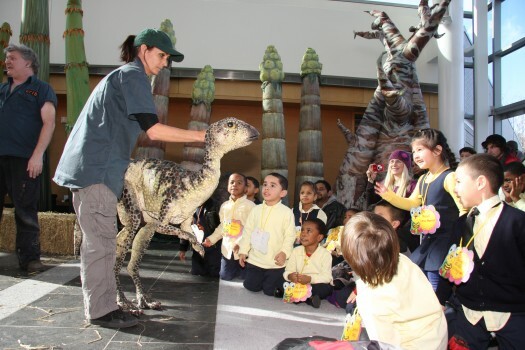 Outreach programs for PreK-12 students in Queens, Suffolk, and Nassau counties include educational field trips to matinee performances, the classroom-based School Partnership program, student art exhibits, professional development for teachers, workshops, conferences, and more. Tilles Center’s Arts Education department also reaches the Long Island community with invitations to senior and community centers, private performances for children with pediatric cancers and immune-compromising illnesses, and scholarships to the LIU Post Summer Chamber Music Festival. LIU Post campus collaborations include artist-in-residence programs, master classes and lecture/demonstrations with visiting artists. View the Arts Education here. Support Tilles Center’s Arts Education Program. Donate Now.